**Notice: Some features are available to Site License and Paid Subscription Members Only. Contact one of our Customer Service Specialists for MLS specific pricing. How are the tours created? InstaView will automatically generate a virtual tour approximately one hour after submitting the information to the MLS. I made changes to the listing, how do I apply them to the tour? Any changes made in the MLS will be automatically reflected by Property Panorama within one hour of the change being submitted. The InstaView Portfolio remains in-sync with the MLS at all times. How do I access my InstaView account? Once you have successfully accessed your InstaView profile for the first time, a password can be set up within the ACCOUNT section, which will then allow for access directly through http://www.propertypanorama.com. Please note that the username for your account can be found in the left-hand menu. How do I apply changes to the virtual tour after updating the MLS? InstaView remains in synchronization with the MLS 24/7 and will automatically update any changes approximately one hour after. The automatic updating process is available ONLY with MLSes and/or associations synchronized with Property Panorama. 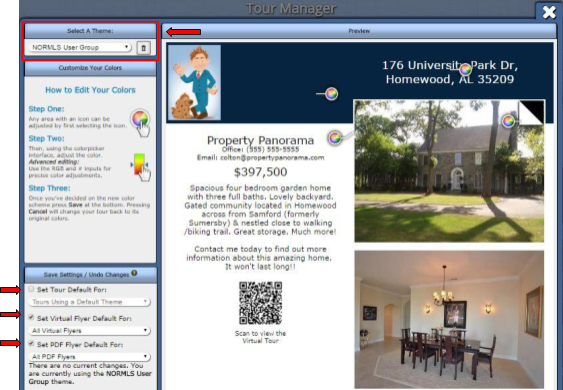 Custom created virtual tours require changes to be updated manually within the TOUR MANAGER section of the respective listing within your Property Panorama account. 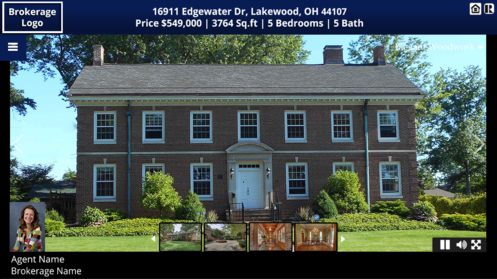 I submitted a listing to the MLS, but a virtual tour has not generated yet. InstaView will automatically generate a virtual tour approximately one hour after submitting a property in the MLS (when synchronized), however, many MLS systems will have an IDX/Internet and Virtual Tour fields that requires a “Yes” to be submitted prior to activating the tours. Please review the MLS fields to ensure they are appropriately marked and InstaView will update the information within one hour. Is there a minimum/maximum photo requirement? 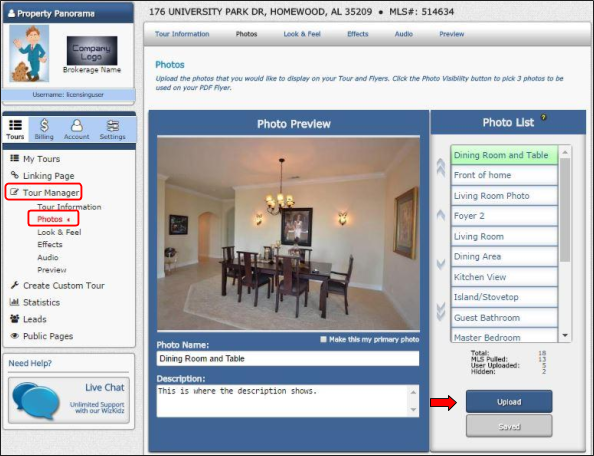 InstaView does require a minimum of at least three images be uploaded into the MLS prior to activating an InstaView virtual tour (MFR MLS requires five images). How do I download a CD/DVD video file for keepsake? This will allow you to download the MP4 video file of the InstaView virtual tour to your computer, which you can then create a CD, DVD, or even upload to your personal YouTube.com channel. How do I customize and/or download an InstaView PDF Flyer? 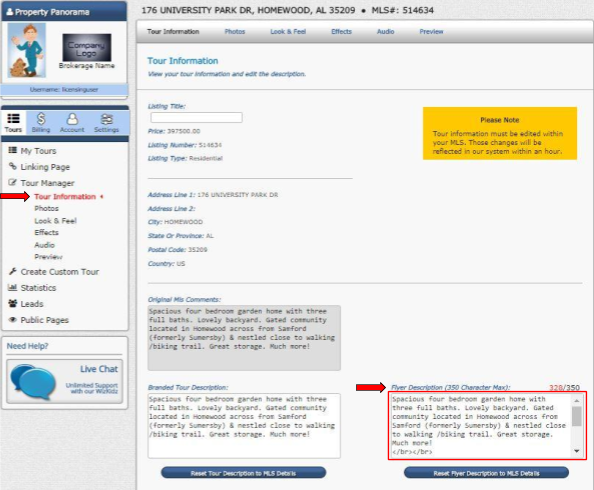 This task is completed by navigating to My Tours >> Tour Manager >> Tour Information, and in the lower right-hand corner there is a text box labeled "Flyer Description" that can be edited with the verbiage you wish to display. This task is completed by navigating to Tour Manager >> Look & Feel >> PDF Flyer, which will provide you with the ability of changing the look and feel of the flyer, as well as the pictures displaying on it. Pro Tip: You can make your customized themes a default in the lower left-hand corner of the Change Look & Feel page, which ensures ALL of your tours/flyers render with the same theme. 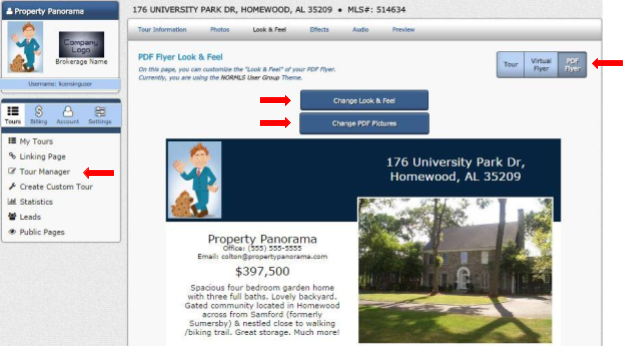 Once satisfied with the flyer layout, you are ready to download and print them by navigating to My Tours >> Linking Page, and then selecting the "Download PDF Flyer" button located in the 2nd section labeled InstaView Flyer. How do I obtain a video for keepsake or uploading to a personal YouTube channel? You are able to download the MP4 video file of your virtual tour by clicking on Download CD/DVD/Podcast Tour within the Linking Page section of the respective listing within your Property Panorama account. 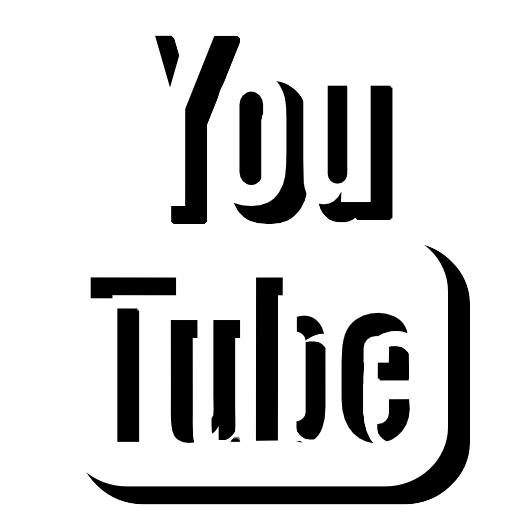 This file will allow to save the MP4 video​ to your computer for keepsake, sharing with clients, and/or uploading to a personal YouTube channel for advertising purposes. What is Property Panorama’s preferred browser? Property Panorama’s Instaview virtual tours will function on ALL Internet browsers, however, our team typically recommends using Google Chrome for InstaView related products. What is the difference between Unbranded and Branded virtual tours? 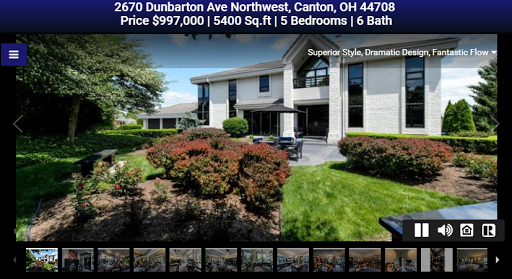 Branded - Fully enhanced virtual tour displaying an agent’s profile image, company logo, brokerage and contact information. The branded tours can also be fully customized with color schemes, background textures and audio selections, and is typically used for advertising anywhere outside of the MLS. My virtual tour only displays five images, how do I get all of them? As an MLS member benefit you receive a FREE unbranded InstaView virtual tour displaying the first five images, with the opportunity of purchasing an upgrade for as low as $1.99 per listing/per month. NOTE: For examples and a list of ALL the enhanced features provided with an upgraded subscription license, please visit our Products Page. How do I obtain my virtual tour links? You are able to obtain an InstaView virtual tour link on any active listing in the Linking Page section, which is located on the right-hand side of the respective listing within your Property Panorama account. How do I submit a video tour to YouTube.com? InstaView automatically generates and uploads a video to YouTube approximately 24 hours after a listing has been entered into the MLS. 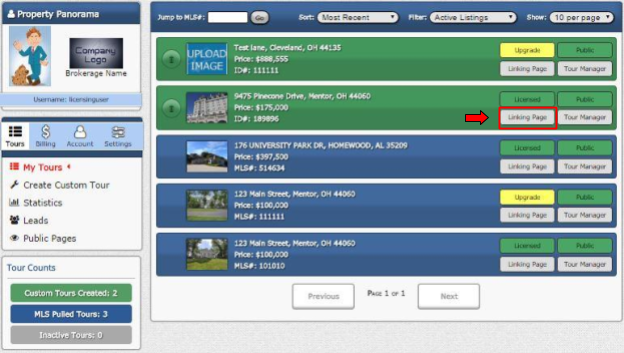 Once available, the videos can be found by searching either the MLS listing number, or full property address on YouTube. NOTE: You can Opt In or Out of YouTube syndication on a per listing basis from the Linking Page, or for the entire account from the Settings page. I recorded my own personal video of the property, how can I attach it to the Virtual Tour? You can add personal property video URLs to the Branded InstaView Virtual Tour from the LINKING PAGE of the respective listing. First, you will need to upload the video to your own personal YouTube channel. Once uploaded, you will input the video’s URL link into the YourVideo field near the bottom of the LINKING PAGE. NOTE: this will NOT remove the automatically generated video from YouTube, but but rather replace the embedded video on the Branded Virtual Tour. Where can I find the leads generated for my listing? You are able to obtain lead information captured from an InstaView product by selecting Leads on the left-hand navigation menu of your account. By Listing: Provides listing specific lead captures, as well as contact information of the interested users and/or potential buyers. How many people have viewed my virtual tours? You are able to access By Listing and Overall statistics of your InstaView virtual tours by clicking the Statistics option from the left-hand navigation menu within your Property Panorama account. How do I change my profile picture and/or company logo? You are able to upload/change the profile picture and company logos by clicking the respective area on the left-hand side of the My Tours page within your Property Panorama account. Alternatively, you can navigate to Account >> Profile Picture/Company Logo. How do I change the phone number being displayed on my tours/videos? 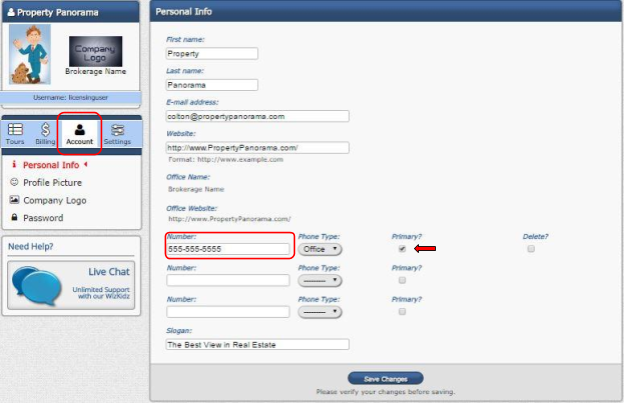 Your contact phone number on virtual tours, flyers and videos can be edited by ensuring the Primary check box is marked next to the number you wish to display in the Account section of your Property Panorama account. Where can I find my Virtual Tour links? You can access the InstaView Virtual Tour links by selecting the Linking Page located on the right-hand side of the respective listing. You can add personal property videos to the Branded InstaView Virtual Tour from the LINKING PAGE of the respective listing. First, you will need to upload the video to your own personal YouTube channel. Once uploaded, you will input the video’s URL link into the YourVideo field near the bottom of the LINKING PAGE. Please note this will NOT remove the automatically generated video, but rather replace the embedded video on the Branded Virtual Tour. How do I upload additional photos? Once the photos have uploaded, you will be returned to the Photos area where you can order and edit the photos uploaded directly into our system. PRO TIP: If you are attempting to stitch photos into panoramic views you will need to ensure the checkbox labeled “Stitch these photos into panoramas” is selected accordingly. How do I change the music playing on my virtual tour? You are able to adjust the music playing with the branded virtual tours by navigating to Tour Manager >> Audio within your InstaView account. NOTE: Only the branded virtual tours will reflect customized music selections, as the MLS unbranded tours must adhere to regulations set forth by the association. How do I change the background theme on my virtual tour? Choose from one of the predesigned themes from the drop-down menu located in the upper left-hand corner, or make your own custom theme by clicking on corresponding color wheel icons. NOTE: Unbranded virtual tours, used on the MLS, will not reflect any customized settings per contractual agreements with each MLS. How do I view my leads and lead settings? Agents can view/edit their leads and/or lead settings by selecting LEADS located in the TOURS section of their Property Panorama account. From this page, you can view all of your current and past leads, as well as adjust the settings for your lead generation. How do I view⁄change my current subscription? You are able to manage your InstaView subscription licenses by visiting the Billing section of your account. 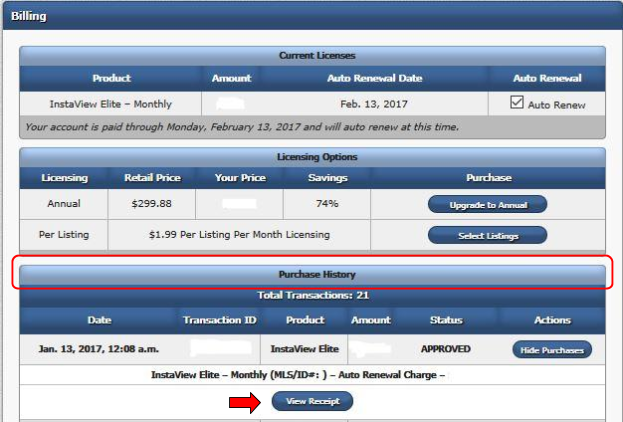 This page will allow to you purchase a license that best suits your needs, or cancel a subscription you are no longer using by un-checking the Auto Renew box on the respective license. $1.99 Per listing/per month licenses will auto renew on the 1st of every month until a listing as being sold, or deemed inactive by the MLS status value. 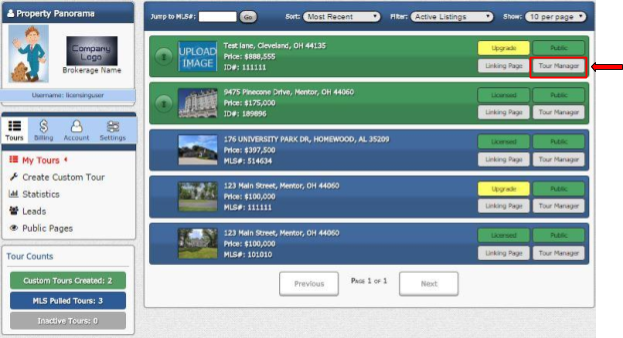 Monthly and Annual flat-rate licenses include the fully enhanced InstaView products on ALL of your active listings within the MLS and will automatically renew on their respective anniversary date. What is the cost of subscribing to InstaView? Each MLS will have their own specialized licensing options depending on the contractual agreements with Property Panorama. You are able to view available options in the Billing section of your InstaView account. You are able to change the credit card information on file with Property Panorama by visiting the Billing section of your account, and then selecting Update Billing Information located in the lower portion of the page. NOTE: Once you have successfully updated the credit card information, you will still need to reauthorize or purchase your desired subscription licenses. Where can I get a receipt for my subscription purchase? Is there a photo limit on the InstaView Portfolio? No, the Enhanced InstaView Portfolio allows for unlimited additional photos and panoramas. Why does my tour only display five photos? As a member benefit of certain MLSs, Property Panorama will automatically generate the InstaView Lite, free of charge. The InstaView Lite will display the first five images from the MLS in an Unbranded Virtual Tour. Users with the InstaView Lite can upgrade to the Fully Enhanced InstaView Portfolio from the BILLING section of their Property Panorama account.